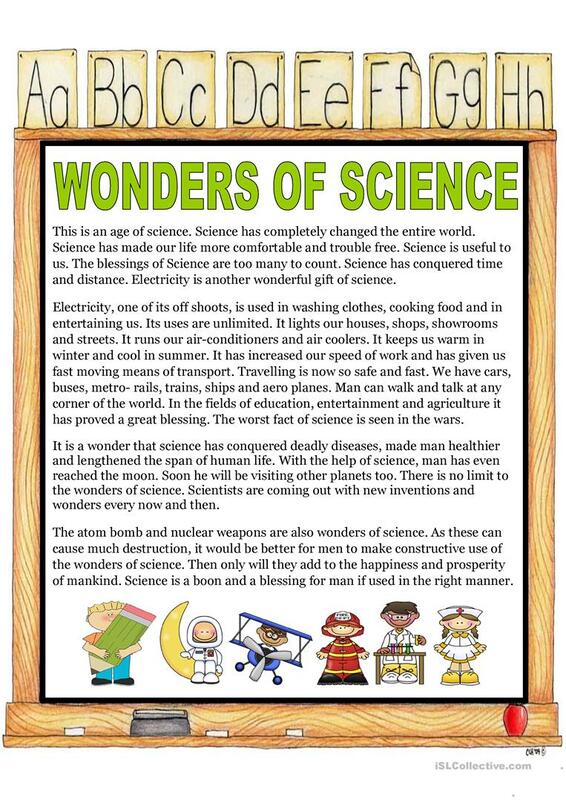 This is a simple worksheet which can be used as a reading comprehension or as an essay in the class to tell the students about the advancements,benefits and dangers of science. The present downloadable handout is a great resource for high school students and elementary school students at Elementary (A1), Pre-intermediate (A2) and Intermediate (B1) level. It is valuable for consolidating Adjectives in English, and was designed for strengthening your students' Listening, Spelling, Speaking and Reading skills. It features the vocabulary topic of Science.